I don’t speak often about the company I work for, really in order that this blog is not seen as an extension of their marketing, which it certainly is not. I try to keep the blog as informative and non-partisan as possible, I actually find this difficult, because I am exceptionally proud of the company I work for. I am proud of their ethos, innovation and stated goal, not the biggest but the best. This post though is one of two that I will be writing in relation to the company, specifically two innovative programmes from Widex UK. The reason I depart from the norm is that I feel both of these programmes hold real commercial value for Independent Hearing Healthcare Practices. Therefore it would be silly of me not to discuss them under my own interest of commercial strategy. The two programmes that have been introduced are the Widex Approved Dispensing Centre programme and the Widex Best Practice Programme. Each of the programmes are complementary to each other and are purely about helping the development of our Customer’s businesses. This article pertains to the Widex Approved Dispensing Centre, Something that Widex UK has introduced this year. The programme germinated from an underlying feeling that we needed to give something more to our customers than the usual offerings. That we needed to offer them something of real value to assist them to secure and develop their business. With this in mind we took the view that what we offered, needed to be different than anything currently on offer and that it needed to deliver real value to our customers and indeed their customers. That value also clearly needed to be based on our customers needs as opposed to ours. Widex values the importance of endeavouring to protect and strengthen the private independent market and to maintain its perceived high standard of service and care. Widex therefore decided that a more appropriate endorsement for its customers would be to focus on offering an approved status that was measured specifically on a standard of service and care. Widex therefore produced a set of guidelines based on a minimum standard already drawn up as part of AQP guidelines, for private dispensers to practice under. 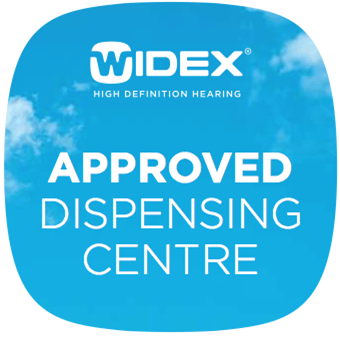 The Widex Approved Dispenser Centre Programmes was introduced as a vehicle that would acknowledge the high service standard of individual Independent Hearing Healthcare dispensers and to reassure customers that they are purchasing their hearing aids from an approved Widex supplier. This means that Independent dispensers promoting the Widex Approved Dispensing Centre Status are not only Widex suppliers but are also committing to a standard of service that is reflective of the Widex brand which is synonymous with quality, style and being at the forefront of technology. Obviously this a synopsised set of criteria, but it is true to the spirit of the fuller outline. We are not basing this programme on the units that you buy from us, you need to be a regular purchaser and attender of our training. But that is simply so that you are knowledgeable about and effectively proficient with our products. This I feel is where this offering is different, no volume commitment. We hope that the programme will become a recognised symbol of quality and service and we will promote it as so. Use of the logo on your website and other media, such as direct mail or advertising. Becoming a Widex Approved Dispensing Centre entitles Dispensers to become part of the Widex Best Practice Programme, which offers a range of Marketing, Audiology & Business Development Support. Your Territory Sales Manager will work through the Approved Guidelines with you to establish if you are meeting the guidelines which have been based on AQP standards, therefore a minimum standard for those operating in the private sector. If you meet the guidelines, we will ask you to sign a letter of agreement and you will be issued with relevant collateral. If you do not yet meet AQP standards, then with your TSM, you will establish some objectives of when you will be in a position to achieve the standards. We will also provide you as much support as possible in order that you can meet those standards. Whilst we hope that this programme in itself will be seen to offer real value. Membership of this programme will give access to the Widex Best Practice Programme. This programme will offer real support on three fronts, Marketing, Audiology and Business Development. Widex UK has ensured that these modules bring real benefits, real value to their customers and their businesses. There has been a lot of thought put into both programmes, if you have any queries, give widex UK a call and they can go through it with you. In the next post I will talk about the Widex Best Practice Programme and why I think it will deliver real assistance to Independent Hearing Healthcare Professionals. Widex Approved Dispensing Centre. Bookmark.